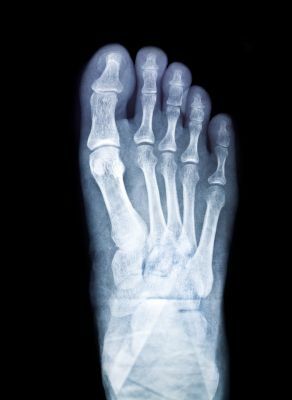 What to Expect from a Metatarsal Fracture | Podiatry Associates, P.C. If there are two things Coloradans truly value, they are nature’s beauty and leading healthy, active lives. Our state is packed with beautiful places, like the Castle Pines open spaces and trails, and people who love to enjoy them. Part of staying healthy, though, is taking care of painful problems when they arise—which can mean staying indoors to recover after a serious injury, like a metatarsal fracture. If you’re a mountain biker, runner, rock climber, or even just an avid walker, you need your metatarsals to be completely healthy to participate in your activities. Even a broken toe can be enough to require rest in many cases. Here’s what you can expect after you break a bone in your forefoot. First, it’s important to know why these bones matter. Your metatarsals are the five long bones that connect your arch to your toes. They’re important for supporting your body weight and absorbing shock. They, along with your toes, are crucial for your ability to push off the ground when you walk, run, jump, climb, or otherwise move around. Any strong force might push the bones beyond what they can support and leave you with a broken toe or a metatarsal fracture. It’s what you do about the broken bone that determines how well it heals. After the injury, the damaged area will hurt, swell, and possibly bruise. You may or may not be able to walk. As soon as you can, remove all weight from your lower limbs and begin basic care. You’ll need to decrease inflammation and swelling. Ice the painful spot and keep your foot elevated. The affected bone is going to need to be immobilized in the correct position so it will heal properly. For this, you’ll need to have your foot evaluated to see how serious it is. A broken toe might just need to be buddy-taped, and a simple metatarsal fracture may only require a special boot. Severe breaks need full casts. Knowing what to expect when you fracture a bone in your forefoot can help you make sure you get the right care. Don’t take your metatarsals or toes for granted—let our team at Podiatry Associates help you begin healing your injury right away. Call (303) 805-5156 to make an appointment at our Castle Pines or Parker, CO, offices.